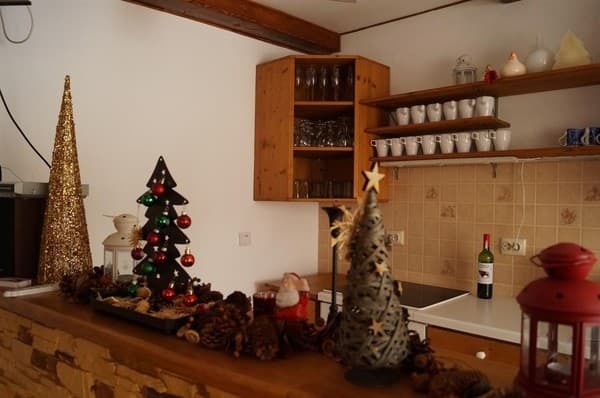 The private homestead "Gough" is located in a picturesque corner of the village of Yasinya. 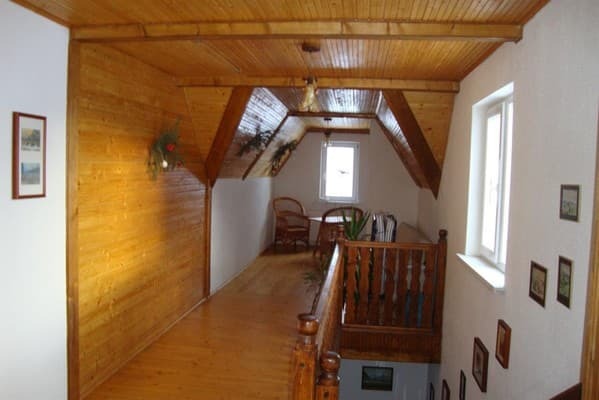 The clients are offered accommodation in a cozy two-storey house, the interior of which is made in the German-Hutsul style, the rooms are equipped with wooden furniture and decorated with wood, light and cozy. 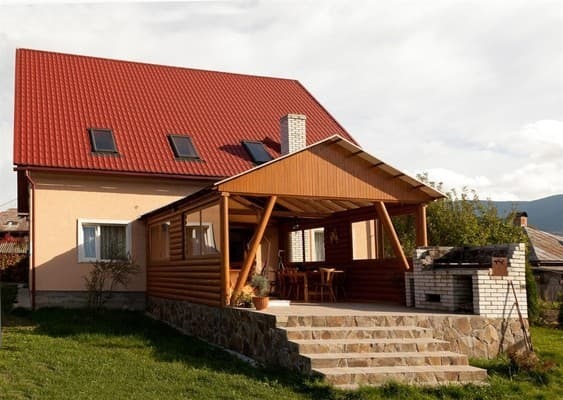 Homestead "Gof" is great for a family vacation and a company of friends. 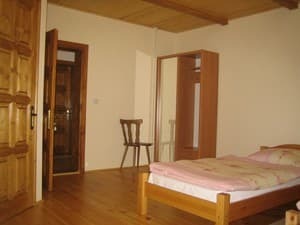 The lift is 1.5 km away, so the holiday in Yasin on the "Gof" manor is ideal for mountain skiing. 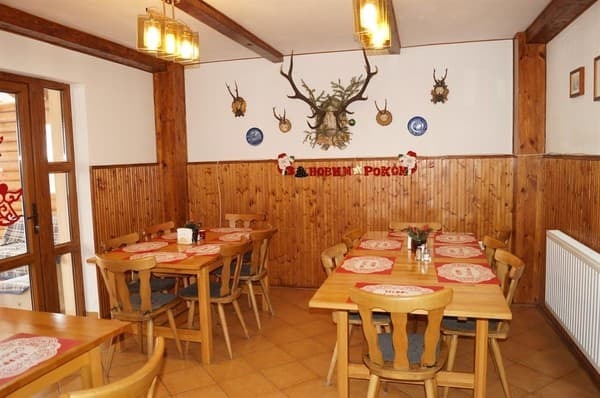 There is also a dining room where guests can enjoy delicious dishes of Bavarian and Hutsul cuisine. In the courtyard of the manor there is a spacious covered terrace with a barbecue. Hospitable hosts can also organize excursions. To the ski resort "Bukovel" - 7 km, "Dragobrat" - 9 km. PRICES MAY CHANGE, IT IS REQUIRED TO RECEIVE INFORMATION FROM THE OPERATOR. 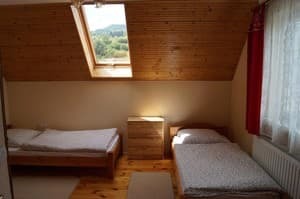 Description of the room: A cozy one-room apartment, which has everything you need for a comfortable stay: 2 single beds or 1 double bed, wooden floor, satellite TV, TV, wardrobe with mirror, bathroom (shower, toilet, washbasin, mirror). 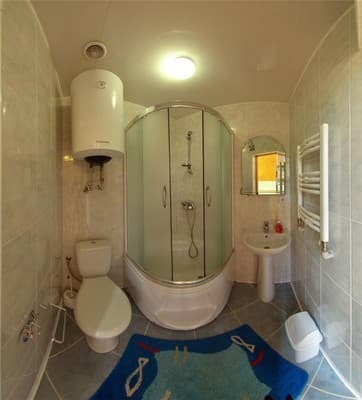 Description of the room: A cozy one-room apartment, which has everything you need for a comfortable stay: 3 single beds, wooden floor, satellite TV, TV, wardrobe with mirror, bathroom (shower, toilet, washbasin, mirror). 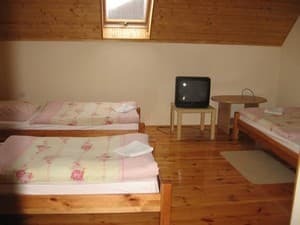 Description of the room: Cozy two-room suite, which has everything necessary for comfortable living: in the first room there is a double bed, in the other - two single beds, wooden floor, satellite TV, TV, wardrobe with mirror, bathroom (shower, toilet, washbasin, mirror). It is possible to order 2 meals a day. The farmstead is located in a picturesque part of the village of Yasinya. Distance to the Internet cafe - 1 km, the market - 1 km, the grocery store - 200 m, the river - 300 m. Distance to the ski lifts: Kostirivka - 1,5 km, Yablunitsa - 14 km, Yaremche - 50 km. To the ski resort "Bukovel" - 7 km, "Dragobrat" - 9 km. By public transport: to Yasinya by train Lviv - Rakhiv, Ivano-Frankivsk - Rakhiv or by buses of the same direction. Owners can meet at the bus station of the village. By car: along the highway H-09 to the center of the village of Yasinya.